For several hundred years, nuns lived here in strict accordance to the Benedictine rules of poverty, obedience and chastity. Since 1560 noble families have owned the castle, among them a double traitor and his wife the king’s daughter, an unlucky industrialist and a former prisoner of war in Siberia. Still today it is privately owned and lived-in. The Benedictine convent for women was probably founded in the early 12th century on the shore of Lake Ringsjön. No document from the earliest days has survived; the oldest to mention Bosjökloster is a bull from Pope Lucius in 1181, in which he confirms the convent's privileges. From small beginnings, the convent grew to accommodate about 60-65 women. Through many and rich donations it became one of the wealthiest land-owners in the region. During the Reformation in the 16th century, the Danish crown shut down the convent and seized its assets. 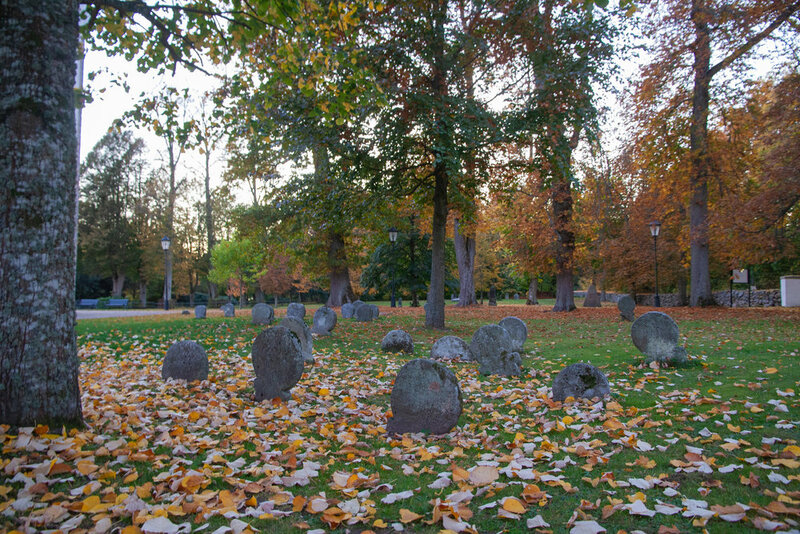 But even today there are many relics from the time of the nuns at Bosjökloster, among them the original vaults (once the nuns' refectory), the church, which still holds services, ruins of the penitential chapel, the little churchyard where the nuns lie buried under simple stones, and the thousand-year old oak, which still comes into leaf every year in the park. 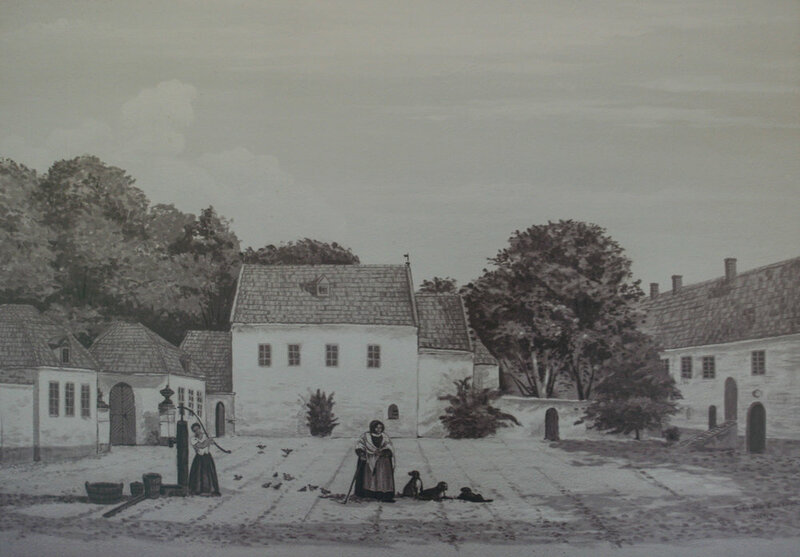 The first private owner of Bosjökloster was a women, Mrs. Thale Ulfstand. She acquired the former convent and its remaining land through a barter transaction with the Danish King Fredrik II in 1560. A few decades later, in the 17th century, the property was taken over by the rich Jochum Beck, a versatile man and enthusiastic dilettante in many sciences. He lost his money through a failed industrial venture and was forced to sell Bosjökloster to pay his debts. The buyer Corfitz Ulfeldt was related to Beck. He fared no better. In this period, as Sweden was in the process of annexing Skåne from Denmark, Ulfeldt so lacked diplomacy in his intrigues with both the Swedish and Danish kings that he had to flee, and his wife Leonora Christina — the Danish king's favourite daughter — was imprisoned in the Blue Tower in Copenhagen for nearly 22 years. Due to Ulfeldt’s treason, the Swedish Crown sequestrated the estate and it fell into decay. 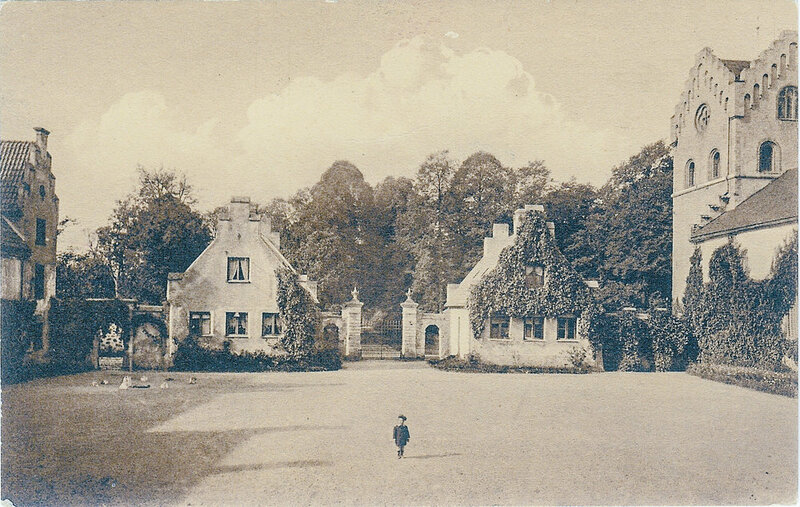 After a lawsuit in 1735, Bosjökloster was returned to the Beck family, now Beck-Friis, who restored it and held it until 1908, when it was purchased by Count Philip Bonde, whose family still owns Bosjökloster. His grandson Count Tord Bonde and his family are now in charge of the estate. A note on the name of Bosjökloster: it is derived from bo sjö = "live by a lake" + kloster = "monastery". Originally, the peninsula of today was an island set in a ringshaped lake. The name of the convent was Bosiö Kloster, meaning "live on an island in a convent".